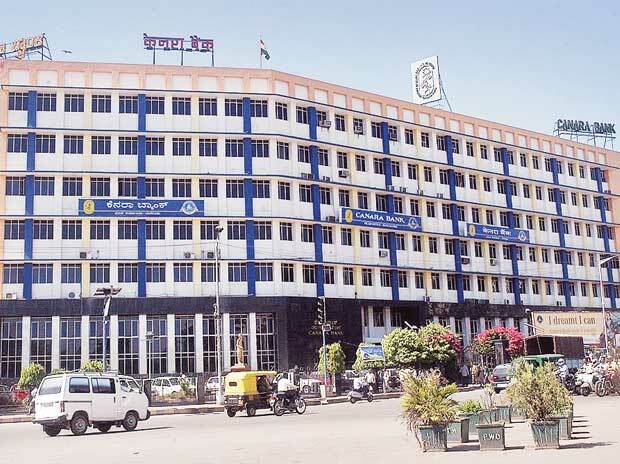 State-run Canara Bank has reported a whopping 87% drop in net profit at Rs 84.9 crore for the third quarter of 2015-16 on account of rise in bad loans. The Bangalore-based lender had posted a net profit of Rs 655.9 crore for the October-December quarter of 2014-15 fiscal. 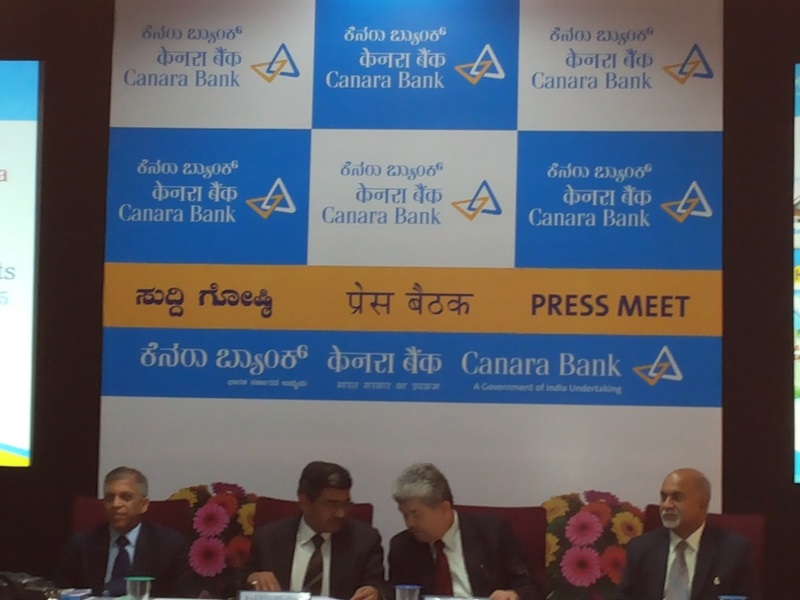 The bank's total income also fell to Rs 12,050.6 crore for the quarter under review from Rs 12,227.86 crore in the year-ago period, Canara Bank said in a regulatory filing to exchanges. The gross NPAs as a percentage of total advances rose to 5.84% from 3.35% in the same quarter a year ago. Its net NPAs went up to 3.90% from 2.42% at the end of December 2014. Gross NPAs in absolute terms rose significantly to Rs 19,813.44 crore as compared to Rs 10,573.57 crore at the end of December 2014. However, total provisions, excluding for income tax, made during the third quarter were Rs 1,428.85 crore as against Rs 841.33 crore in the year-ago period. Operating profit declined to Rs 1,552.44 crore as against Rs 1,797.30 crore in the corresponding period. During the first three quarters of 2015-16, Canara Bank posted 47.7% decline in profit at Rs 1,092.67 crore as compared to Rs 2,089.67 crore in the year-ago period. The bank's total income for the nine month period in the current fiscal stood at Rs 36781.22 crore as compared to Rs 35,871.08 crore in the same period of previous financial year. EMC Corporation has announced the appointment of Srihari Palangala as the Director Marketing of EMC India, effective immediately. Reporting jointly to Karinne Brannigan, Vice President Marketing – Asia Pacific & Japan based in Singapore and Rajesh Janey, President - EMC India and SAARC, Srihari would be responsible for spearheading the marketing strategy and execution for sales, products and partnerships in India. 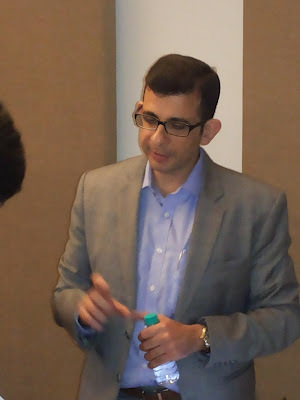 Prior to EMC India, he was engaged with organizations such as VMLogix, Adobe India and Microsoft India. In his previous stints, he has been instrumental in driving business transformation and geographical expansion. As a marketing leader, he has a proven track record of accelerating customer acquisition through innovative marketing programs and strategies. 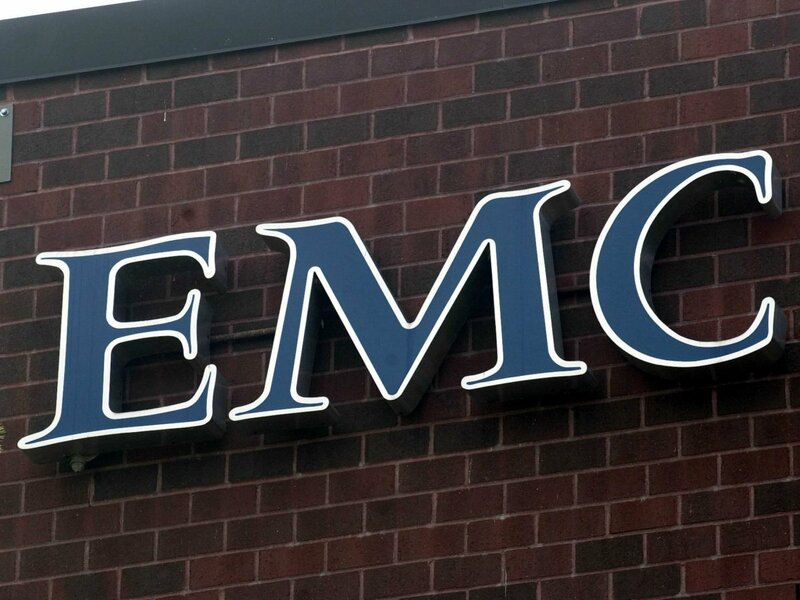 Other than Palangala, EMC India has recently expanded its leadership team with appointments in critical functions. Rajeev Saxena has joined as the Director for Inside Sales. Rajeev comes to EMC with 25+ years of experience working in IT across various functions including Sales, Pre-Sales and Support. He has built and run high-performance teams at some of the world’s best known firms including NetApp, Cisco and Tata. 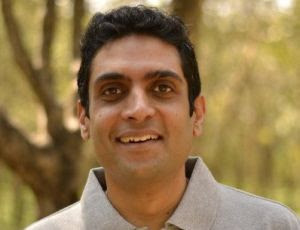 Prior to joining us to lead EMC India Inside Sales he was the Director of Sales for NetApp India and SAARC leading their MSB (Medium Sized Business) and Government Business. 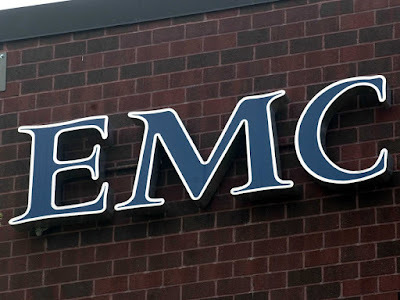 He has built a strong reputation for delivering success in collaborative environments which would be an asset for EMC’s success in the future. Also, Ripu Bajwa has been given the responsibility for leading the companys’ DPS business in India as the Country Manager. Ripu is a 10 year veteran at EMC and has contributed across various successes at EMC. The rapid adoption of the chief data officer (CDO) role — from 400 in 2014 to 1,000 in 2015 — raises important questions about the structure and positioning of the office of the CDO in organizations. There are four organizational design principles that CDOs should apply when designing their office, according to Gartner, Inc.
"The organizational design of the office of the CDO must clearly take account of the role that data is expected to play in the organization," said Mario Faria, research vice president at Gartner. "Most CDOs, however, are new to the role and often have little experience with managing large teams or designing and changing organizational structures." To help CDOs and other business leaders meet the needs of their organization and structure the office of the CDO appropriately, Gartner identified four value propositions for the office of the CDO. "There's no one correct way to design a CDO office — its structure and strength depends on how it is used by the evolving organization," said Faria. "In Gartner's model, the organizational design depends on four possible ways to organize and exploit the benefits of data within the business." Figure 1 shows these four approaches. CDO Organization as an Engine Room: The office of the CDO delivers operational data services that are focused on the needs of the internal users. 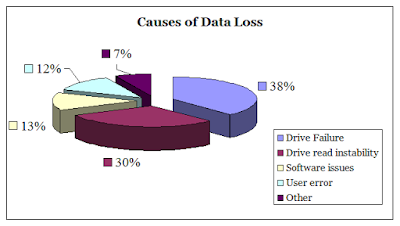 It succeeds by monitoring any data market developments and building expertise in data asset usage, information management and analytics. Everyone's CDO Organization: The office of the CDO focuses on the needs of the internal users. But there is a strong push for data assets to be used aggressively by business leaders and individual contributors to break through traditional perimeters of business, and to drive transformation and new digital business models across the organization. CDO Organization as a Business Service Provider: The office of the CDO delivers operational data services that are used by both internal and external users. The activities are expanded and integrated into a shared-service organization that runs like a business. CDO Organization Is the Business: Information is one of the explicit external offerings of the organization or is inseparable from the product line. The office of the CDO delivers internal and external data services that drive business transformation and differentiation. "The CDO organizational design is about people," said Mr. Faria. "It is easy enough to think about what kind of CDO an organization needs in order to meet its business goals, but it can be harder to put in place the right people to deliver on that structure. It's vital CDOs think critically about what skills and behaviors will be required by the office of the CDO in the short, medium and long term." 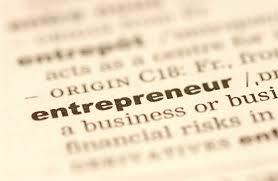 NASSCOM 10,000 Start-ups today announced the selection of 10 start-ups for the Code for Next Billion Program. These Startups are Wallet Guru, Light Vision, Perpignon, Kid Nurture, We-Share, I-We, Huehealth.com, Technovent, Padmavati Agro, and Redoctype. This is an inclusive program that aims to promote social good and will provide a platform for start-ups to showcase innovations that can help solve some of the problems in the society and can be recognized on a national level. Startups will be given an immersive six month program to inspire, encourage and fulfill internet innovation among the developer community in India. Code for the Next Billion is running two programs targeting developers and students to build applications in the Health, Economic Empowerment (finance, capacity building, etc. ), Education/Skill Development, Public Utility (water, power, transport). The program involves access to cutting edge technology, social impact and business mentors; workshops and webinars to receive hands-on training; investors and enterprises to help validate and scale the selected start-ups. Vidhya Shankar, Head of Funding Partnerships & Alliances at NASSCOM 10,000 start-ups, Bangalore, said, “This is a positive step towards our objective to empower the developer community and motivate large scale innovation impacting bottom of the pyramid. 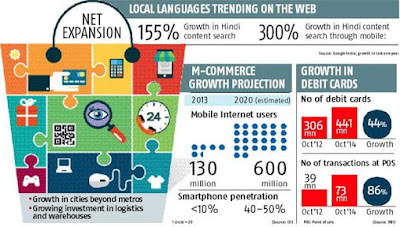 Through the program, we aim to accelerate the development and adoption of mobile internet applications across India. We would like to thank all our partners for their valuable support and trust and hope to work with a lot more people in the future”. Facebook has partnered with NASSCOM 10,000 start-ups and is the first partner of the Code for Next Billion Program. Other partners are NASSCOM Foundation, Unitus Seed Fund, CNBC TV 18 and IIM Ahmedabad’s CIIE. NASSCOM 10,000 Startups is a platform for technology startups to get connected to all the players in the ecosystem from angel networks to venture capital firms, accelerators, enterprises and industry bodies. 10,000 start-ups initiative helps startups with funding, incubation, acceleration, mentoring, enterprise connects, and showcase opportunities. Ime Archibong, Director-Partnerships, Facebook, said "We are proud to partner with NASSCOM, CNBC, and others to invest in the leadership of developers who are building innovative solutions tailored to the historically unconnected and underserved. Building applications to solve education, financial, health and public utility challenges requires a different kind of imagination, risk appetite and skills. We are excited to support the journeys of these ten sdevelopers and hope that their journeys inspire the next generation of developers to apply their talents to solving these problems." The first boot-camp for start-ups was organized with Parag Trivedi, Global Design Studio Leader, GE Healthcare on Design Thinking, Naiyya Saggi, Co-founder, Baby chakra on Scaling up for Social Impact,Anindita Guha, Head-Product and Marketing, Gupshup and Teamchat on Product Management the India way. Further to this, start-ups will be provided with technical, marketing, and financial support as well as leadership skills, to build their applications and businesses. They will get opportunity to be featured on a CNBCTV18 through a TV series to showcase their achievements. Further, they will get access to US$80,000 worth of Facebook credits and support through Facebook's FbStart program to build their business. They will get networking opportunities with industry leaders (CEOs, thought leaders, VCs, ecosystem evangelists, social change leaders), funders and the media to bring public awareness to their commitment, solutions and impact. NASSCOM 10,000 Startups is a vision, which is committed to incubate, fund and provide support to impact 10,000 technology startups in India, by 2023. The aim is to nurture the promising startups into full-fledged technology stalwart companies, by giving them support via access to startup incubators, accelerators, angel investors, venture capitalists, startup support groups, mentors, and technology corporations. Magnasoft has unveiled a comprehensive child safety platform, Northstar. Northstar is an integrated platform that protects children while they commute to, and from school. A web application designed specifically for schools empowers the school authorities to manage their transport related information, monitor their fleet and children in real time and take immediate action in case of any incidents. Northstar also has an App for Parents to locate and view their child’s journey in real time. The launch witnessed the presence of Dr. Dakshayini Kanna, Principal - Harvest International School along with Bobbie H.Kalra, CEO and Shyam Ramamurthy, CPO & CTO, both Co-Founders of the Magnasoft Products Business including Northstar. 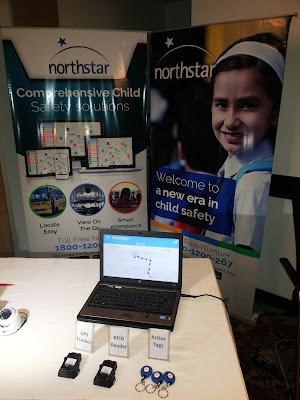 The Northstar safety platform integrates GPS and non-GPS locationing, video surveillance, and RFID technologies to facilitate school bus and child monitoring, school bus video surveillance, student attendance management, driver behaviour analysis amongst others. Northstar provides a clean, simple and sophisticated mobile experience for parents on iOS and Android. It provides a powerful web application and dashboard for schools to manage all of their transport information in a simple and reliable manner. Magnasoft runs a dedicated Command Center that ensures constant monitoring of bus fleets in case of exigencies. Northstar has already become the platform of choice for over 200 schools and 4, 00,000 parents across India. “Northstar is the #1 in-transit child safety SaaS platform in India that provides reliable and sophisticated web and mobile experiences to schools, parents and transport administrators. Today, we are proud to present the new Northstar, the third generation of the product since launch. It helps schools in managing their transport functions, reduces their overheads and keep a watchful eye on their children. With the Northstar Parent App, parents can track their child’s journey in real time. Northstar is the only platform that offers driver training and a sophisticated driver merit system to measure and incentivize good driving.” said Bobbie H Kalra, Co-Founder and CEO. “Northstar leverages cutting edge technology to capture millions of events across dozens of parameters to monitor, analyse and report in real-time, children and bus status, route adherence, transportation safety, driver behaviour and aggregate reports. We have brought together schools, drivers and parents, thereby creating a safe ecosystem for children.” said Shyam, Co-Founder and CPO/CTO. 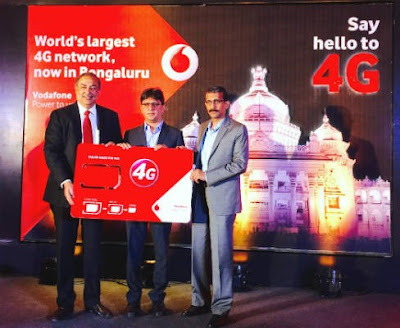 Country’s second largest wireless operator by subscribers, Vodafone India has rolled out its next generation, high speed 4G network in prominent business and residential corridors of Bengaluru like Jayanagar, Basavangudi, J.P.Nagar, Electronic City, Bangalore International Airport, Whitefield, B.T.M. Layout, Chamrajpet and Koramangala. The company has also installed about 1,100 towers with 4G equipment and the number is likely to touch 2,000 by the fiscal end. The roll-out will be completed across all parts of Bengaluru in a phased manner by March 2016. The launch in Bengaluru marks the successful completion of first phase of roll out of Vodafone 4G services in Kerala, Karnataka, Kolkata, Delhi and NCR and Mumbai. Built on the efficient 1800 MHz band, this state-of-the-art network will enable Vodafone 4G customers to access internet via mobile with speeds across a range of smart devices including Mobile Wi-Fi. Vodafone 4G services can be readily accessed from 4G enabled handsets offered by leading smartphone manufacturers (iPhone, Samsung, Micromax, Microsoft, Lava, Xolo among others) available across the country. Telco 4G will significantly enhance the mobile internet experience for customers with faster download/upload of videos and music, seamless video chats to enjoy and greater ease in using their favorite apps. Customers will also adore features like high definition video streaming, mobile gaming and two-way video calling. The company’s 4G service in Bengaluru is built on a strong fibre backhaul, and is supported by its superfast 3.5G services. With this launch, Vodafone is now uniquely positioned to offer in Bengaluru, 2G/3G/4G services on its own state of the art, convergent radio technology. Leveraging its global network and experience, Vodafone is also the first and only telecom service provider to currently offer international roaming on 4G to its India customers visiting UK, Germany, Romania, Spain and Netherlands with many more countries to be launched in coming weeks. , “We are delighted to launch our high-speed 4G services in Bengaluru for our customers to experience the most advanced wireless broadband experience available across the globe today. With this, we complete the first phase of roll-out of our 4G services across Kerala, Karnataka, Kolkata, Delhi & NCR and Mumbai. Initial response from customers who have experienced our 4G services in these markets has been positive and encouraging. 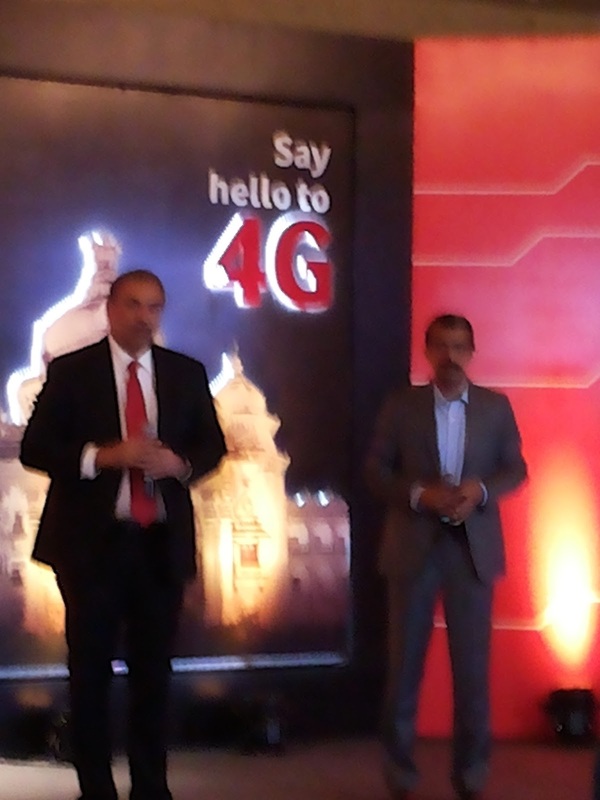 4G has the potential to revolutionize the mobile experience through powerful innovation that impacts how we work and live,” said Sunil Sood, Managing Director & CEO, Vodafone India. “Vodafone’s global expertise and experience of launching 4G across 19 countries gives us a better understanding of this technology and the needs of the 4G customer. As a steadfast partner of Digital India, we remain focused on deploying multiple technologies –be it 2G, 3G and now 4G-for optimum use as each technology has its own vital role to play in servicing the myriad connectivity needs of consumers across the country,” he added. With launch of 4G in Bengaluru, Vodafone 4G services will be present in 5 circles of Kerala, Karnataka, Mumbai, Delhi & NCR and Kolkata, which today contribute to 30% of industry revenues and close to 50% of Vodafone India data revenues. “We are one of the leading telecommunication services provider in Karnataka and our over 26 lakh customers in Bengaluru have a lot to look forward to. After having successfully launched our 4G services in Mysuru, we are proud and delighted to launch 4G services on the superior 1800 MHz band in the State capital. Beginning with key business and residential corridors in Bengaluru, which constitute more than 46% of our data users in Karnataka, we will soon expand our 4G services across the length and breadth of city in a phased manner by March 2016,” said Speaking on the 4G proposition for Bengaluru, Suresh Kumar, Operations Director –South, Vodafone India. “The roll-out of our 4G services in Karnataka will continue to Mangalore, Hubli and over 50+ towns in a phased manner. We will continue to pursue our customer centric strategy of catering to the evolving needs of retail and enterprise customers for better and smarter solutions for both voice and data. We invite our data savvy customers in Bengaluru to make the most of the bonanza of special benefits and enjoy the best mobile internet experience,” he added. A global, cross-industry study released today by Mindtree, a leading digital transformation and technology services company, pinpoints personalization as the key driver that will help “phy-gital” consumers reach their ideal mix of online and offline shopping. It also reveals that while most companies are in transformation mode and consider themselves pioneers in adopting or investing in digital technologies, few are investing in personalization initiatives that consumers say will increase the depth and breadth of their shopping experience. · Consumers indicate that personalized promotions encourage them to buy products and services they have purchased before (78 percent), as well as relevant products and services they have never purchased (74 percent). · Only 28 percent of the decision makers from companies surveyed globally say their organizations are investing significantly in personalization to improve the online purchasing experience, even though it has improved their online sales over the past 12 months for the majority (58 percent). · Consumers expect their use of mobile apps for shopping to more than double in the next three years. While 6 percent of consumers said their preferred channel for making retail purchases as of 2015 was mobile apps, 15 percent said they expected mobile apps to be their preferred channel by 2018. · Break up data silos to get a more enriched view of customers from various digital touch points, using a big data-led approach. · Deliver relevance for customers by creating content, offers and recommendations using context-weighted personalization algorithms. · Implement the technology to automatically deliver these customized messages and offers to customers in a cross-channel, cross-device landscape. 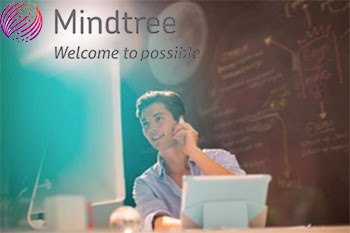 This will only work if a company has the right digital infrastructure at the broadest level.Mindtree believes that companies need to blend four cornerstones that are crucial to achieving true digital transformation and success: creating digital customer experiences, digitizing the value chain across the front and back end, developing “sense-and-respond” systems, and shaping new, innovative business models and partnerships. Establishing controls for privileged access continues to be a focus of attention for organisations and auditors. Gartner, Inc. said that by 2018, 25 percent of organisations will review privileged activity and reduce data leakage incidents by 33 percent. "Only less than 5 percent of organisations were tracking and reviewing privileged activity in 2015," said Felix Gaehtgens, research director at Gartner. "The remainder is, at best, controlling access and logging when, where and by whom privileged access takes place — but not what is actually done. Unless organisations track and review privileged activity, they risk being blindsided by insider threats, malicious users or errors that cause significant outages." Prevention of both breaches and insider attacks has become a major driver for the adoption of privileged access management (PAM) solutions, in addition to compliance and operational efficiency. PAM is a set of technologies designed to help organizations address the inherent problems related to privileged accounts. "IT organisations are under increasing business and regulatory pressure to control access to these accounts, which can be administrative accounts, system accounts or operations accounts," said Mr. Gaehtgens. Gartner recommends that IT operations and security leaders use some best-practice approaches for effective and risk-aware privileged access management. All privileged accounts in your IT environment that enjoy permission levels beyond those of a standard user should be accounted for. It is a security best practice to frequently scan your infrastructure to discover any new accounts introduced with excess privileges. 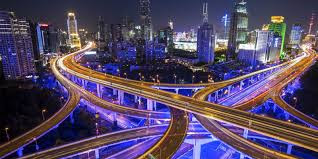 "This becomes even more important for dynamic environments that change rapidly, such as those using virtualization on a large scale, or hybrid IT environments that include cloud infrastructure," said Gaehtgens. "Organizations should start by using free autodiscovery tools offered by some PAM vendors to enable automated discovery of unmanaged systems and accounts across the range of infrastructure — but even those autodiscovery tools will not find everything." The golden rule is that shared-account passwords must not themselves be shared. Sharing passwords, even among approved users, severely erodes personal accountability; this is a security best practice and demanded by regulatory compliance. It also makes it less likely that passwords will leak to others. Eliminate, or at least drastically reduce, the number of users with (permanent, full) superuser privileges to the minimum that is consistent with operational and business needs. Migrating to shared privileged accounts is a recommended practice; however, this requires appropriate tools — managing the risks and control issues that arise from the use of such accounts is inefficient and complicated without a shared account password management tool. Establish processes and controls for managing shared accounts and their passwords. While it is possible to use manual processes to manage privileged access, it is too cumbersome and virtually impossible to enforce such practices without specialized PAM tools. IT operations and security leaders need to implement PAM tools to automate processes, enforce controls and provide an audit trail for individual accountability. These tools are mature, and provide efficient and effective password management for shared superuser (and other) accounts in a robust, controlled and accountable manner, enabling any organization to meet regulatory compliance requirements for restricted access and individual accountability. Administrators will typically have personal, nonprivileged accounts that they use for their day-to-day work, such as reading email, browsing the Web, accessing corporate applications, creating and reviewing information, and so on. "Never assign superuser privileges to these accounts, because these might exacerbate accidental actions or malware that can cause drastic consequences when used in a privileged environment," said Gaehtgens. "Instead, use privilege elevation to allow temporary execution of privileged commands." E-commerce market size for goods is expected to jump about five times to USD 40-50 billion by 2020 from about USD 8-12 billion presently, says a report. 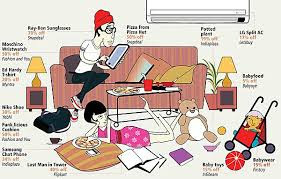 While travel is expected to account for 60 per cent of e-commerce sales by 2020, electronics would account for about 30 per cent, said the joint report by Boston Consulting Group and Retailers Association of India. “Urban users would nearly double from about 80 million to about 120 million,” the report said. The share of women users is also expected to grow from 29 per cent to 40 per cent by 2020. The report also said that more than 400 million customers could potentially be digitally influenced by 2020, accounting for about 25 per cent of the retail spend. Digitally influenced spenders research products and pricing online while purchasing either offline or online, it said. “About USD 250 billion of retail spends would be digitally influenced, accounting for about 25 per cent of the overall spend,” the report noted. VMware Inc., a global leader in cloud infrastructure and business mobility, today unveiled a new platform for delivering secure digital workspaces for flexible workstyles and bring your own device (BYOD). 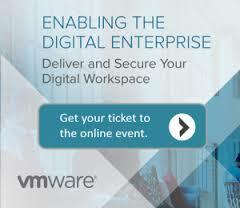 Using the principles of consumer simple and enterprise secure, the digital workspace delivered by VMware will address the end user and enterprise IT business mobility needs by aggregating all devices, applications and services while securely managing them through unified common access and identity. A digital workspace can give IT a more efficient, simplified way of managing users, devices and applications. It can provide end users with a consumer simple way to seamlessly access all business resources regardless of device type. It also provides line of business a secure and powerful platform on which to build and rebuild business processes that enable a more effective mobile workforce to compete in the market. Organizations today are limited in their selection of solutions available to help mobile users maintain effectiveness and must choose between standalone point products for identity, device management and application delivery solutions. VMware Workspace ONE is designed to deliver a digital workspace that integrates device management, application delivery and identity management technologies. These combined benefits, on a single mobile platform, will enable secure management and delivery of business critical resources to employees for corporate IT, and consumer simple access for end-users. This solution will deliver options for all types of users from those with BYOD to corporate fully-managed devices. · Data Security and Endpoint Compliance with Conditional Access ­– To protect the most sensitive information, VMware Workspace ONE will combine identity and device management with industry-first ComplianceCheck Conditional Access to enforce access decisions across any application or device. This approach is based on conditions that include traditional identity policies such as strength of authentication, network scope and add device compliance policies including GPS location, application whitelist/blacklist and third party plug-ins from AirWatch Mobile Security Alliance partners. Meanwhile the AirWatch compliance engine can remediate compliance issues through a series of customizable, automated workflows for both scale and enhanced security. · Real-Time App Delivery and Automation – As the industry is seeing convergence between desktops, laptops and tablets, operating systems such as Windows 10 are also converging to use mobile-style, application management. VMware Workspace ONE™ will modernize application lifecycle management by simplifying application packaging, delivery and ongoing management. Administrators can automate application delivery and provide updates on the fly, and users can gain access to Windows applications on all devices. 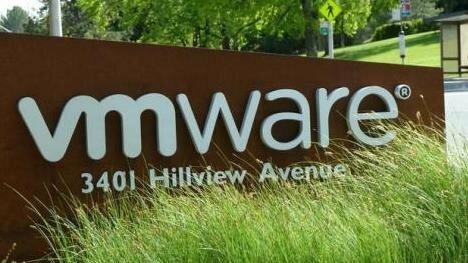 Workspace ONE will leverage industry-leading VMware AirWatch mobile management and VMware Horizon, along with VMware App Volumes application delivery technology..
VMware Workspace ONE is expected to be generally available this quarter. The solution will be offered in standard, advanced and enterprise editions with prices starting at $8 per user per month for cloud subscriptions and $150 per user for on-premises perpetual licenses. A whopping Rs 1.14 lakh crore of bad loans have been written off by 27 public sector banks (PSBs) during FY 2012-15, with the last fiscal alone witnessing a steep 53 per cent rise in write-offs as part of the balance sheet clean-up. 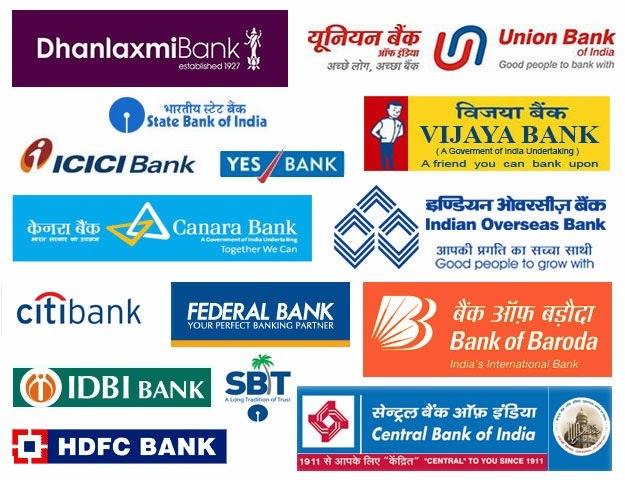 New Delhi, Feb 8 (PTI) A whopping Rs 1.14 lakh crore of bad loans have been written off by 27 public sector banks (PSBs) during FY 2012-15, with the last fiscal alone witnessing a steep 53 per cent rise in write-offs as part of the balance sheet clean-up. For the fiscal ended March 2015, public sector banks have written off loans amounting to Rs 52,542 crore, an increase of 52.6 per cent over the previous fiscal, as per the RBI data. 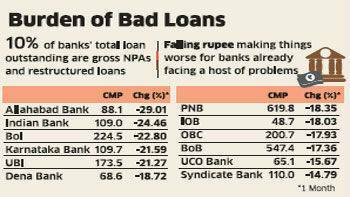 About one-fifth of bad loans was written off in 2014-15 as the gross non-performing assets (NPAs) at the end of March 2015 rose to Rs 2,67,065 crore. These 27 banks had written off Rs 34,409 crore in 2013-14 while Rs 27,231 crore in 2012-13. So in aggregate, a staggering Rs 1.14 lakh crore were written off in the last three fiscals. For 2014-15, SBI topped the chart of PSBs by writing off Rs 21,313 crore followed by Punjab National Bank Rs 6,587 crore and Indian Overseas Bank Rs 3,131 crore. 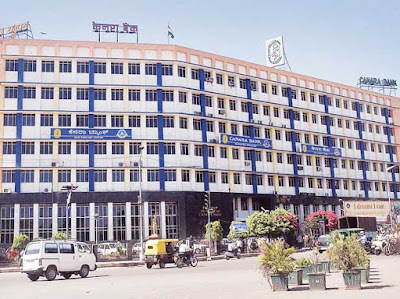 Besides, Allahabad Bank's write-off figure stood at Rs 2,109 crore, Central Bank of India Rs 1,995 crore, IDBI Bank Rs 1609 crore, Bank of Baroda Rs 1,564 crore, Syndicate Bank Rs 1,527 crore, Canara Bank Rs 1,472 crore and Uco Bank Rs 1,401 crore. PSU banks have been witnessing a continuous surge in bad loans. As on September 2015, the gross NPAs of PSBs have increased to Rs 3,00,743 crore as against Rs 2.67 lakh crore in March 2015. Concerned over mounting bad loans, RBI in consultation with the government is working on methodologies to clean up balance sheet of state-owned banks by March 2017. RBI Governor Raghuram Rajan recently announced a March 2017 deadline for banks to clean up their balance sheets which are plagued by high incidence of bad assets. While Rajan had assured that enough capital is available for public sector banks, he cautioned that some of the banks may witness erosion of profitability in the short run due to cleaning of books. "We believe enough capital is available. While the profitability of some banks may be impaired in the short run, the system, once cleaned, will be able to support economic growth in a sustainable and profitable way," he had said. The Finance Minister has indicated he will support the public sector banks with capital infusions as needed. The government last year announced a revamp plan, 'Indradhanush', to infuse Rs 70,000 crore in state-owned banks over four years, while they will have to raise a further Rs 1.1 lakh crore from the markets to meet their capital requirements in line with global risk norms Basel III. Out of Rs 25,000 crore set for the current fiscal, the government has infused about Rs 20,088 crore in 13 public sector banks. ed March 2015, public sector banks have written off loans amounting to Rs 52,542 crore, an increase of 52.6 per cent over the previous fiscal, as per the RBI data. Concerned over mounting bad loans, RBI in consultation with the government is working on methodologies to clean up balance sheet of state-owned banks by March 2017. RBI Governor Raghuram Rajan recently announced a March 2017 deadline for banks to clean up their balance sheets which are plagued by high incidence of bad assets. While Rajan had assured that enough capital is available for public sector banks, he cautioned that some of the banks may witness erosion of profitability in the short run due to cleaning of books.